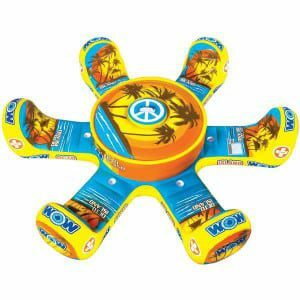 Enjoy the summer in the Fishing Fun Play Center by Intex! 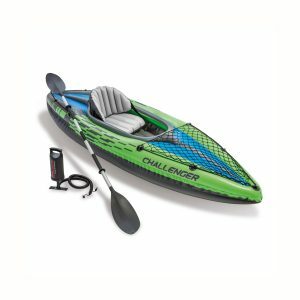 Featuring a palm tree sprayer and inflatable fishing rod, 2 fish, and 6 balls to fit the wall, this inflatable is sure to have everyone enjoying the summer weather. 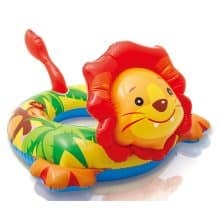 Made of sturdy, durable vinyl material, this fun swimming accessory brings some extra color and confidence to your child’s pool experience. Recommended for children ages three to six. 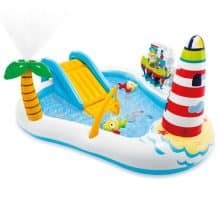 Make your day at the pool even more exciting with this Island with slide float and removable sides! featuring: removable side noodles, detached slide, landing pad for comfort, and 6 heavy duty handles constructed with durable 15 Gauge vinyl for the Island and slide. 10 Gauge vinyl used for the sunshade and noodles. With Sportsstuff’s Cooler Caddy, your cooler and its contents can accompany you into a pool, lake or river. 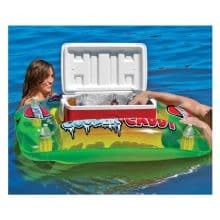 Your refreshments will be bobbing with you and your friends, no need to go on land to get a cold drink! 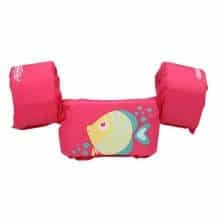 Keep the young ones safe and having fun with Stearns Puddle Jumper Original Series Kids Coast Guard Approved Type V/III Life Jacket for children. 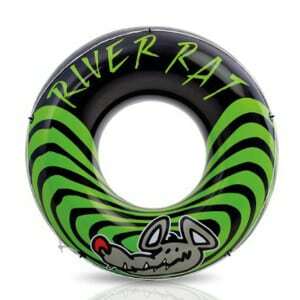 When worn, this can substitute for a type III life jacket. 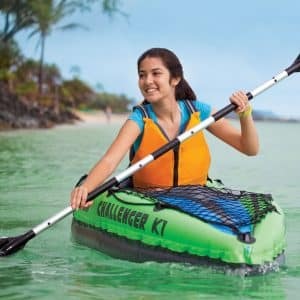 The vest is made from durable nylon fabric shell for durability and PE foam this comfortable life jacket has adjustable buckle and snaps in the back so it’s hard for the youngsters to remove while they are wearing it keeping them safer in the water. 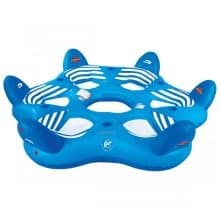 The comfortable design also allows children to move and swim freely in pools and lakes and at the beach, without the life jacket riding up around their necks. 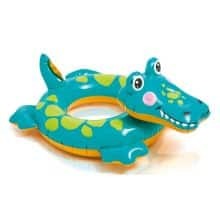 The Kids Puddle Jumper is great for water fun at the lake, pool, beach and is a wonderful learn-to-swim” life jacket. 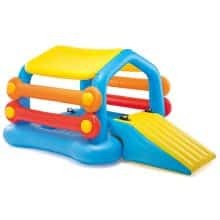 The design gives superior-stability and confidence for children weighing from 30 to 50 lbs. (13.64 to 22.73 kg). With great graphics, this life vest will keep the kids swimming safe and having fun. 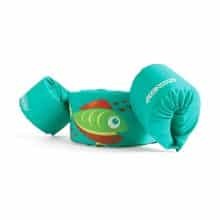 The fun lasts longer for kids in the water with a Stearns Puddle Jumper Original Life Jacket. 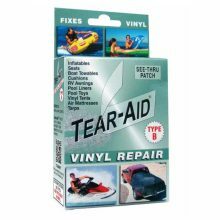 Fix punctures and tears on a variety of items with the peerless AIRHEAD TEAR-AID Fabric & Vinyl Repair Patch Kit. Its unique airtight, watertight and elastic composition stretches and springs back to keep the patch in place for a very long time. TEAR-AID stays put when ordinary repair products give out. 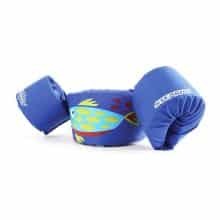 It’s UV-resistant and extremely handy for fixing towable and boat covers, tents, awnings, sleeping bags, cushions, fishing waders, bicycle tubes, towable tubes, pool liners, rafts, pool floats, kiteboard bladders and more. The see-through patch makes it suitable for fabrics and vinyl of any color. Easy peel-and-stick application. 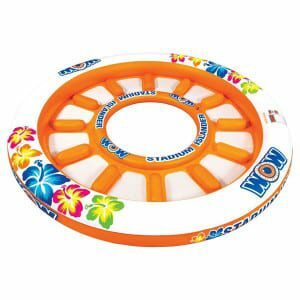 The Stadium Islander from WOW World of Watersports is the only 12 person inflatable island on the market! 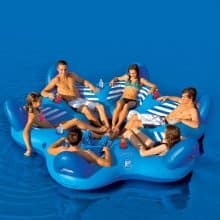 This HUGE inflatable island is perfect for your favorite party cove or for floating down the river. 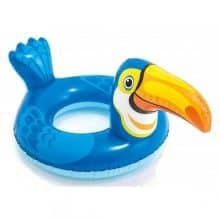 Take the party to the water! 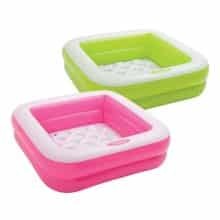 This six-seat floating island is ideal for the pool, river or lake when you want to chill out with your friends. It features a large table with a central cooler that easily holds 24 cans of your favorite beverage. Each seat includes a cup holder, and has high sturdy backrests to lean against.